Come and join this family fun run to raise funds for both Friends of Finstock School and Friends of Leafield School! 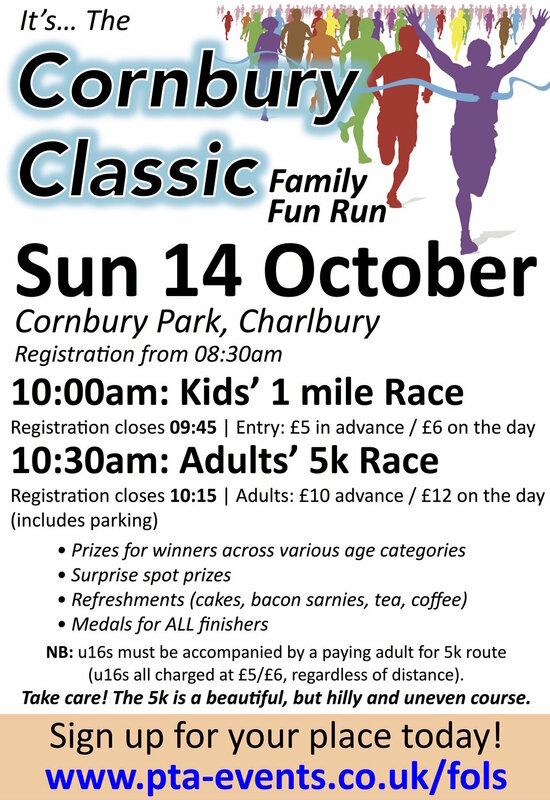 Registration from 8.30am; children’s 1 mile race at 10am; adults’ 5k race at 10.30am. Read full details here. Surprise spot prizes (including meals out and sports club membership); medals for all finishers; refreshments (including bacon sarnies and cakes); free parking; prizes for winners across the age categories. And a great run in a beautiful location! Please be aware that the course is hilly and uneven. Cornbury Park, near Charlbury. Follow the signs on the day.